A physical control violation in Olympia may be classified differently than a regular DUI, but the punishments are just as damaging. Physical control laws are difficult for anyone to understand, even though the details are outlined in Washington State drunk driving law. This is why it's important to fully grasp the nature of the crime before moving forward, otherwise you risk a conviction. A physical control violation is different from a regular alcohol-related Olympia DUI in a variety of ways. 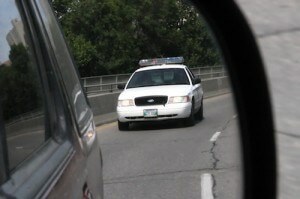 You can be charged with this serious offense even if you're not driving the vehicle. If your blood alcohol content (BAC) is .08 or higher, you can be arrested if found anywhere within your vehicle, including the passenger seat, back seat, and even outside of the automobile. Basically, the arresting police officer is asserting that you were in physical control of your vehicle, even though you may not have actually been in the act of driving or even behind the wheel. The mandatory penalties for an Olympia physical control conviction is almost always life-altering, and includes up to a $5,000 fine, 364 days in jail, and a driver’s license suspension. If you choose our team of litigators to represent you, our Olympia physical control attorneys will do everything legally possible to help you mitigate these severe penalties. When it comes to building a strong defense, experience often makes a tremendous difference. Our Olympia physical control lawyers understand the seriousness of the situation because they've seen the devastating effects that a conviction can cause. We will work diligently to explore all avenues of defense. For example, was your vehicle parked safely off of the roadway at the time it was noticed by the arresting Olympia police officer? If so, or if your vehicle wasn't operational, then we may have a resolute line of defense to present to the prosecutor or judge. WA drunk driving laws were designed to punish the guilty, but are also constructed to protect the innocent. Our Olympia physical control attorneys believe that creating a defense is possible in every situation, but much will depend on the police report, and other important factors. With over thirty years of combined experience defending honest, family-oriented Washington drivers, our Olympia physical control lawyers will ensure that you get to tell your version of the events. Being arrested for a Washington drunk driving crime is a humiliating experience that challenges your reputation and can leave you feeling bewildered and depressed. A conviction may cause your life to be turned upside down, possibly affecting everyone in your family, so it makes sense to minimize the punishments associated with the crime. If you are of the opinion that you were charged with an Olympia physical control crime without warrant, your defense takes on a whole new level of importance. Minimizing your penalties is always at the forefront of our strategy when building a defense, as we work diligently to investigate every aspect of your WA drunk driving case in order to keep you out of jail and validly licensed to drive. Our Olympia physical control lawyers are eager to represent your interests and act as a barrier between you and the relentless machinery of the State's legal apparatus. We offer a free consultation in Olympia, so you can start getting some answers before deciding on legal representation. If you choose to retain one of our attorneys, they will put their experience handling Olympia physical control violations to work for you, and be by your side every step of the way.